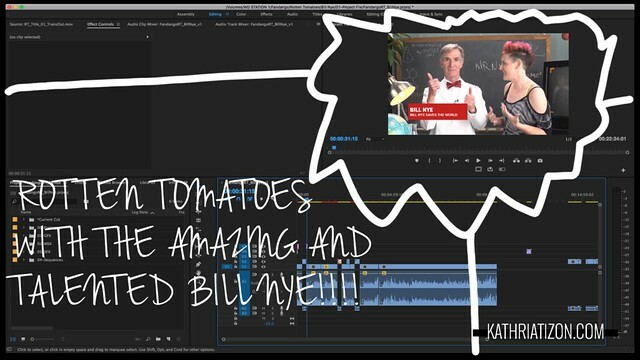 I've always wanted to work on something with Bill Nye, and it looks like my prayers have been answered. Since Fandango bought Rotten Tomatoes, I worked on this project under Rotten Tomatoes. Bill answered some pretty cool questions, and this interview was pretty straight forward, editing-wise. I used a few clips from his new show coming to Netflix soon, called Bill Nye Saves the World. Lots of special guests and per usual - Bill Nye slays it with the facts and info. I'm not sure what camera this project was shot on, but it was single cam.